I hope you all are had a wonderful weekend, my weekend is still going on cos I have today off school which I am totally loving. I was asked by one of my readers to share some of my fall favorite trends and where you can purchase them, hence this post. There are 5 trends I am absolutely loving for this fall/winter season: Graphic/Printed Sweater, Plaids, Trench Coats, Leather and Oxblood/Burgundy...:) Check out the pieces I picked out from each trends plus they are budget friendly, Happy Shopping! 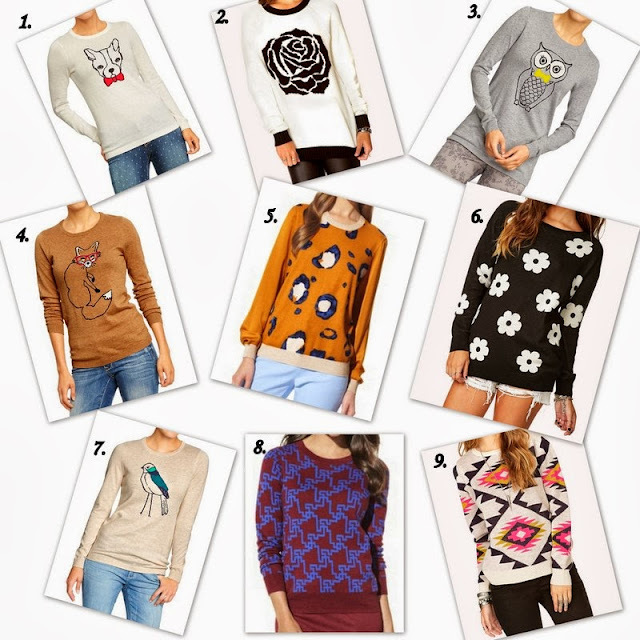 Graphic/Printed Sweaters: This is definitely my favorite trend for this season, sweaters are a must-have for fall/winter so why not make them fun with graphics and prints. They can still be versatile and styled like your regular sweater but this has so much fun and personality to it. You will definitely see me style this in many ways this season so be on the watch out. 1. 2, 3. 4. 5. 6. 7. 8. 9. 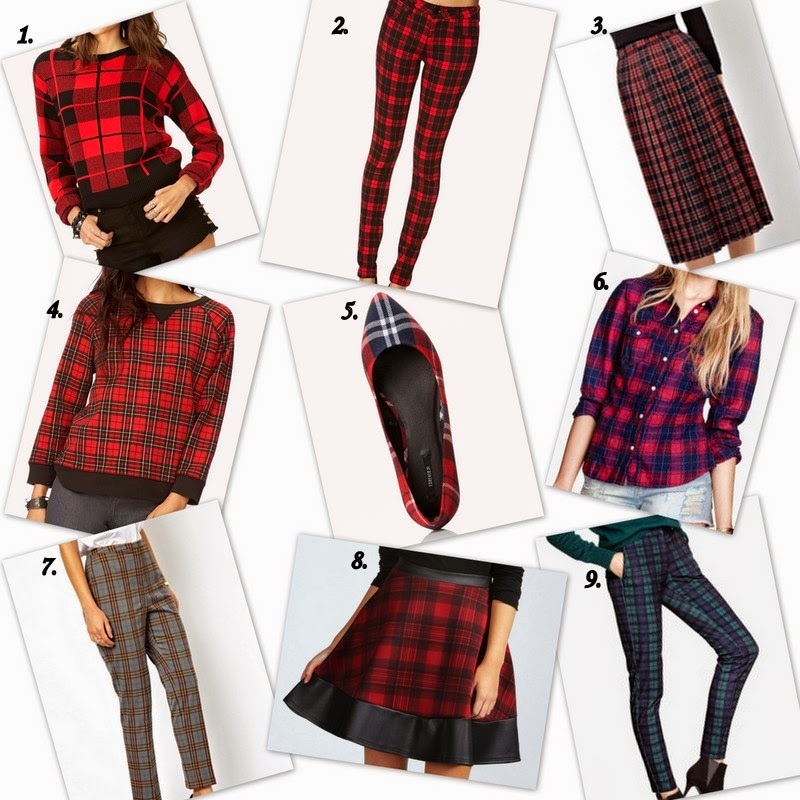 Plaids: This classic pattern is back and refreshed for this season, it was all over the Fall/Winter 2013 runaways. The pattern can be found in many pieces from scarves, shoes, tops to even skirts and pants. The tip in styling plaid is to make it the statement piece but you can also try mixing it with other prints like polka dots, animal prints and stripes. 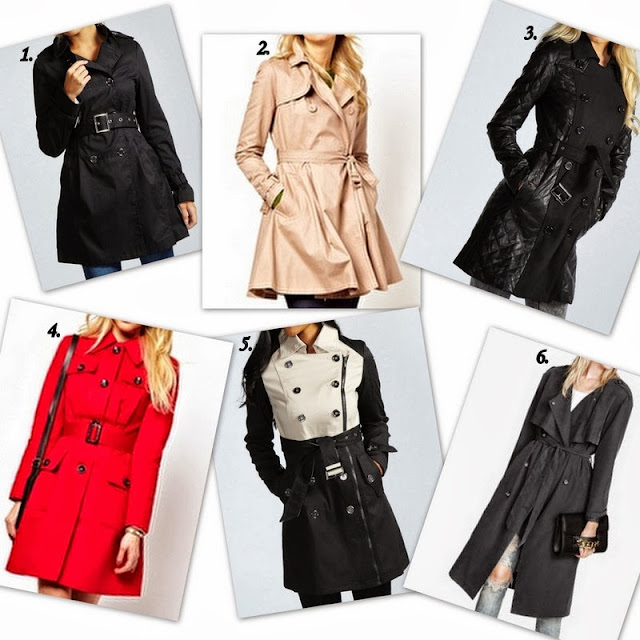 Trench Coats: These are more of a basic for fall/winter. The silhouette of trench coats is so flattering for all shapes and sizes. 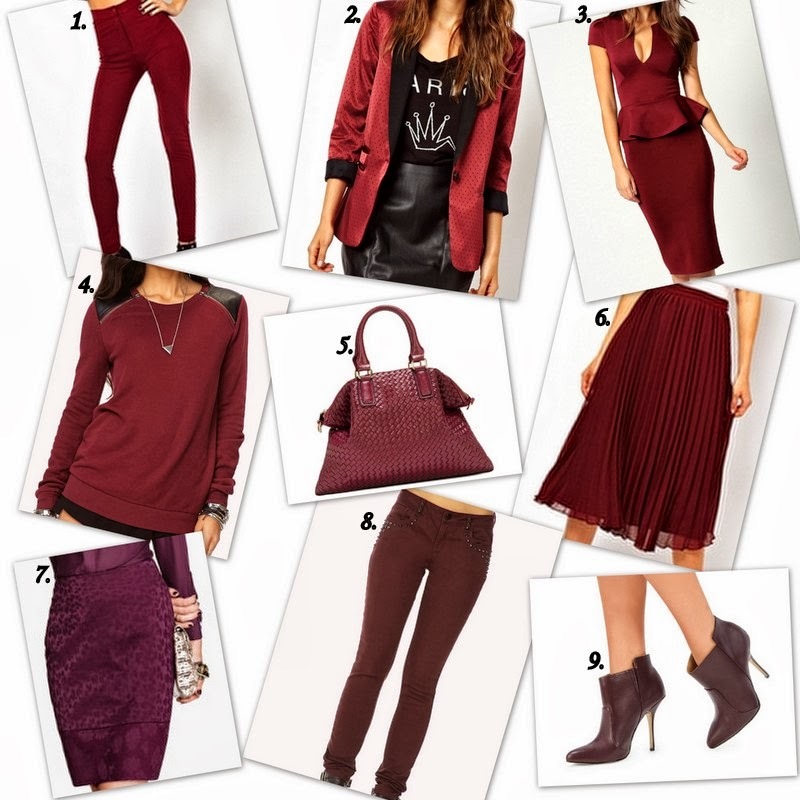 Instead of going for a classic black or camel, try a bold red or burgundy color. Burgundy/Oxblood: This color has been it-color for fall/winter since last year and it's still the one for season as well. I like this color with other colors like mustard, navy, grey and beige for a nice fall color-blocking. Thank you so much for stopping and Have a wonderful week! I was debating on the red coat from Asos, but sold out =/ and got the taupe instead =) they have a good sale right now! GREAT POST! so great post dear, truly love this post!! so many great fall styles but i'm scared i won't be able to wear them cause im in fl! 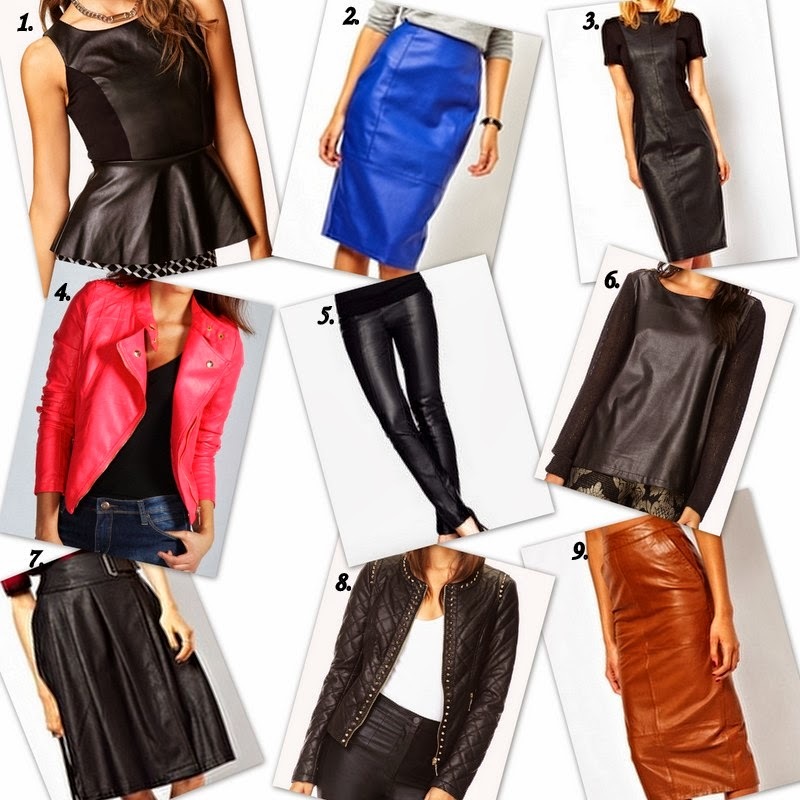 Great styles, so many to choose from. Already clicking on my favs lol. Girl we have the same taste I love a lot of your looks. I own three of the sweaters that you have posted.